Phillip Leon Hollaway, age 79, passed away on Thursday, March 28, 2019, at his home in Narrows, VA. Born May 26, 1939, in Peterstown, WV, he was the son of the late Edmond P. and Edith B. Dunn Hollaway. 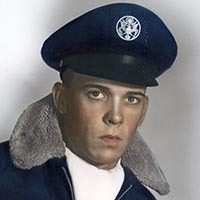 Phillip was a U.S. Air Force Veteran. He later worked as a Carrier for the U.S. Postal Service. He was a beloved husband, father, grandfather, and brother. Survivors include his loving wife 56 years, Bonnie Blankenship Hollaway; one son, Phillip L. Hollaway, Jr. of Narrows, VA; one sister, Geneva Wilkinson of Winston-Salem, NC; and three grandchildren, Samantha Hollaway Wilson and husband John, Diana Hollaway Gill and husband J.C., and Delana Hollaway.